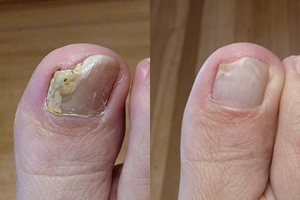 Is your toenail yellow, thickened and brittle, chipping and crumbling? Are you looking for a treatment that will "zap" away toenail fungus (onychomycosis) as an alternative to medications? If you've tried tackling your stubborn, unsightly fungal toenails with topical creams and ointments or with oral medications unsuccessfully, laser treatments may be your answer. A lot of clients are opting for laser toenail treatments rather than the use of oral medications which carry some risk of side effects commonly to the liver and kidney. Our Candela Nd Yag laser has been shown to be safe and effective in treating toenail fungus and there is no downtime. 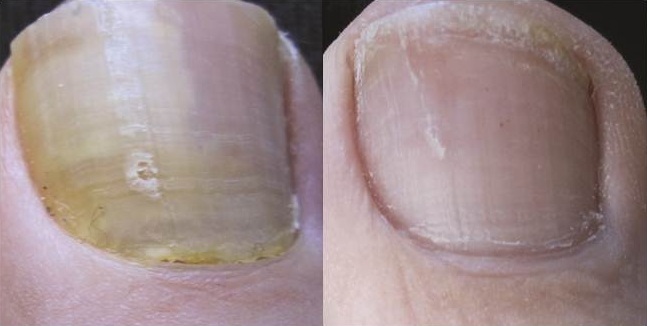 After treatment regimen, the desired outcome is for the nail plate to grow out normally in 6-12 months. Treating nail fungus successfully depends on several factors, most importantly, how many nails are involved, what type of fungus it is and how long the fungus has been there. At least 3 treatments are needed 3-4 weeks apart. We outline a plan that helps treat the condition and may help prevent any fungal recurrence. 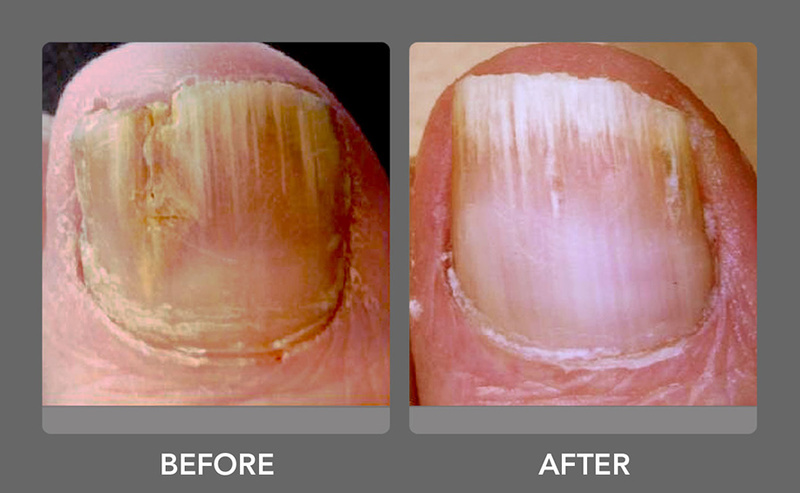 With our vast experience and advanced laser technology, we have the expertise to help you improve the appearance of your damaged nail. Please give us a call today to schedule a free consultation to learn more.